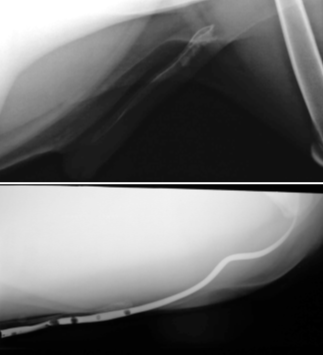 Difference between these 2 US? 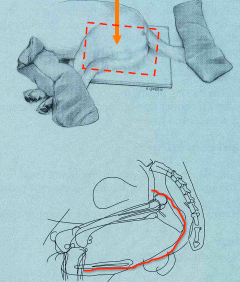 Unlabeled yellow arrows pointing to? 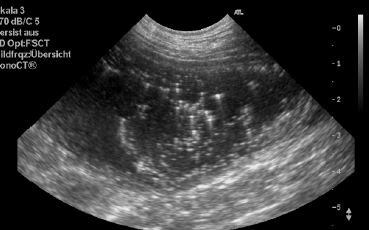 What else can you do to assess crystalluria on US? 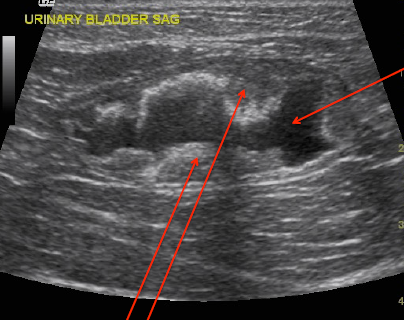 Stir when moving the bladder! 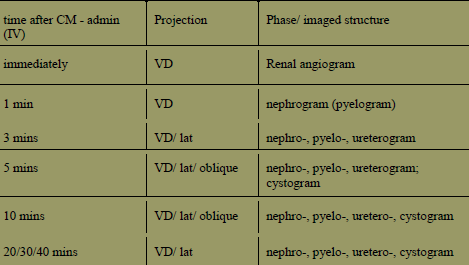 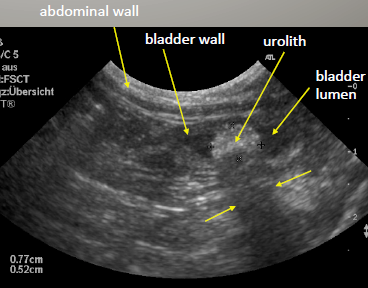 What do you do to ddx wall thickening from mass (tumor vs cystitis vs blood clot)? 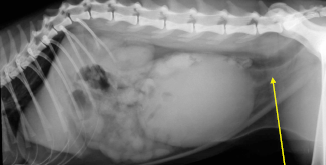 Obstruction is possible even when no stones visible! 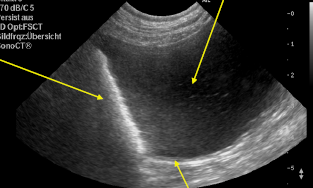 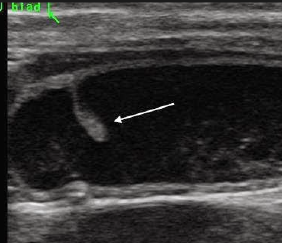 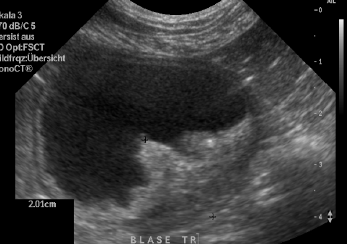 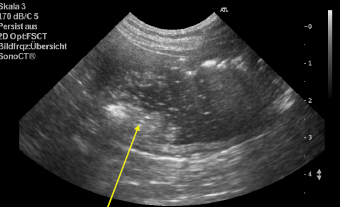 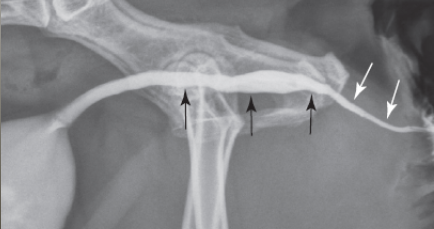 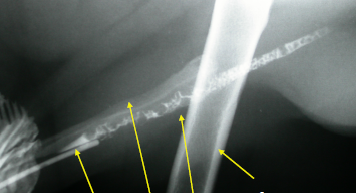 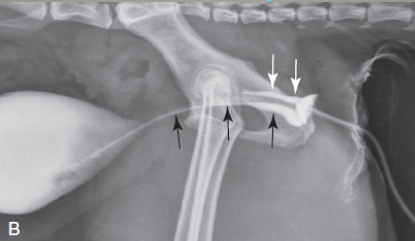 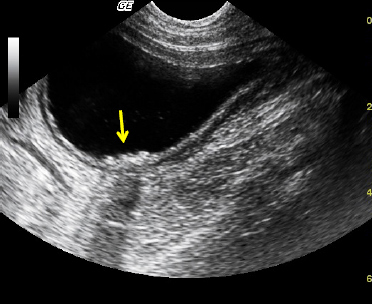 On this normal retrograde urethography in a male dog: arrow in left image? 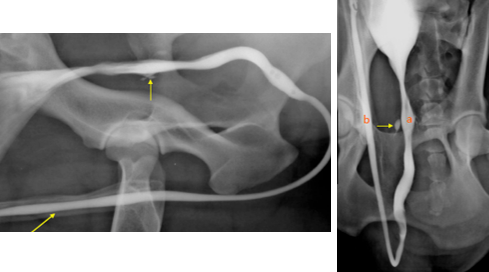 The right image is oblique VD so which 2 structures (a & b) don’t superimpose? 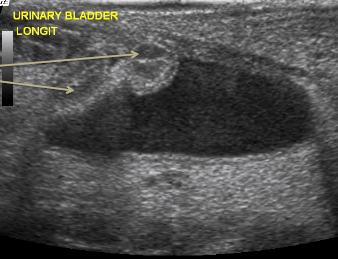 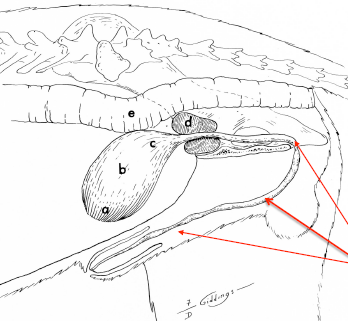 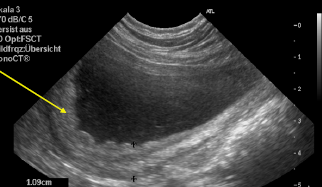 This retrograde vaginourethrography (canine) shows which normal structures?